The Mzora Stone Circle is a huge megalithic monument in Morocco and is in fact the largest stone ellipse in the world. Mzora and the Egyptian Nabta Playa site are claimed to have used the same construction methods that Alexander Thom has shown to have been used by the British megalith builders. James Mavor, better known for his research at Santorini, surveyed the Mzora site in the 1970’s. Bob Quinn visited the site in 1982 and was struck by its similarity with Newgrange. Robert Temple discusses the site at length in his Egyptian Dawn. Dale Drinnon has an illustrated blog on the subject(c). John E. Palmer visited and surveyed the site in 1978 and subsequently wrote an article for Kadath magazine, unfortunately in French only. He reported that extensive damage was done to the site by ‘archaeologist’ César Luis de Montalban with excavations in 1935-6(d) and that many of the stones have been broken by ignorant Islamic extremists. In 2011, Graham Salisbury gave coordinates for the site(b) and offers a history of Mzora in a longer article(e). 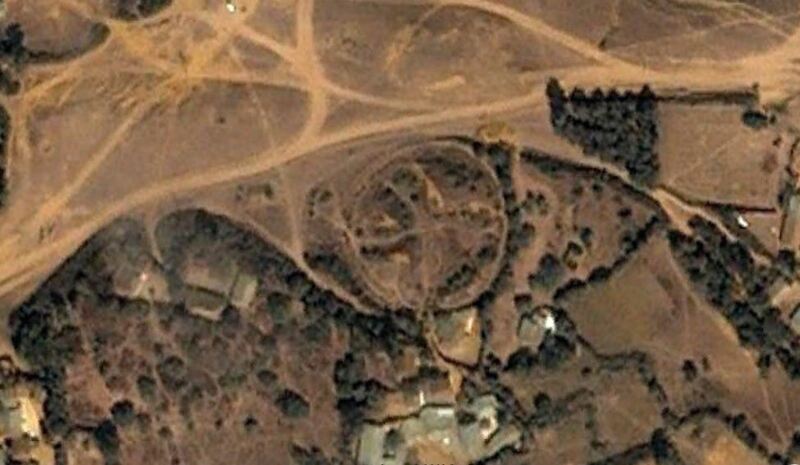 There is also a French site, which has a number of images of the Mzora site(a).